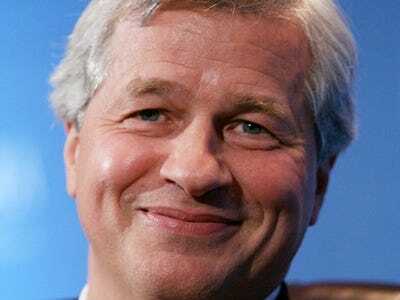 JPMorgan Chase is negotiating with the FDIC for a tax refund related to its acquisition of Washington Mutual that could amount to $1.4 billion, The Wall Street Journal is reporting this morning.A little noticed change in tax law was incorporated into the extension of jobless benefits last year. Under the new rules companies can use losses to apply for tax refunds against earnings from the past 5 years–up from just 2 years before the change. Many other companies have benefited from the 2009 tax-refund law already. According to an analysis of securities filings by The Wall Street Journal, more than 250 companies have so far said they expect to get about $12 billion in federal tax refunds under the law. That remains a partial list. The Joint Committee on Taxation, a congressional committee, estimated the provision would cost $33 billion in its first year. The law specifically excluded companies that took TARP from applying for the refund. So how does JP Morgan qualify? It argues that since Washington Mutual never got TARP funds, its past taxes should qualify. That’s a plausible argument. But the deeper problem here is that our tax code shouldn’t be used like this. This rewards the worst managed companies with a subsidy while punishing those that didn’t see losses in the crisis. It’s got bailout written all over it.